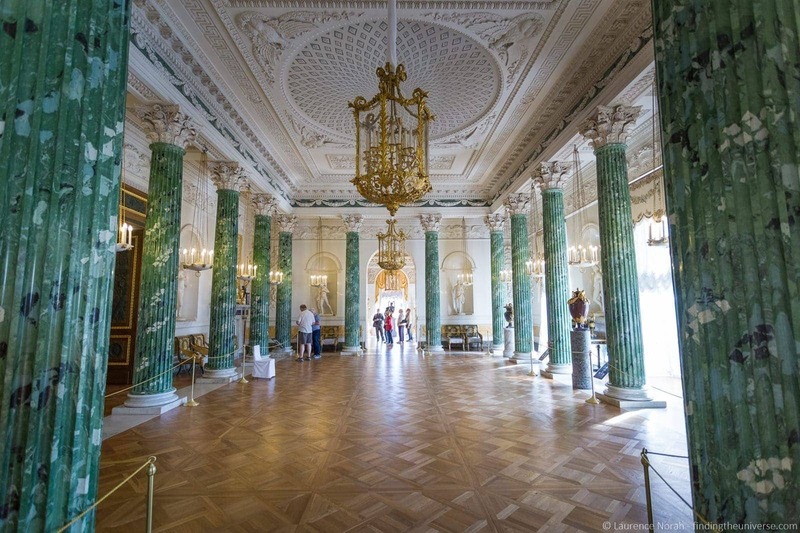 Home » Destinations » Europe » Russia » What to Do in St. Petersburg, Russia: Everything You Need to See! What to Do in St. Petersburg, Russia: Everything You Need to See! 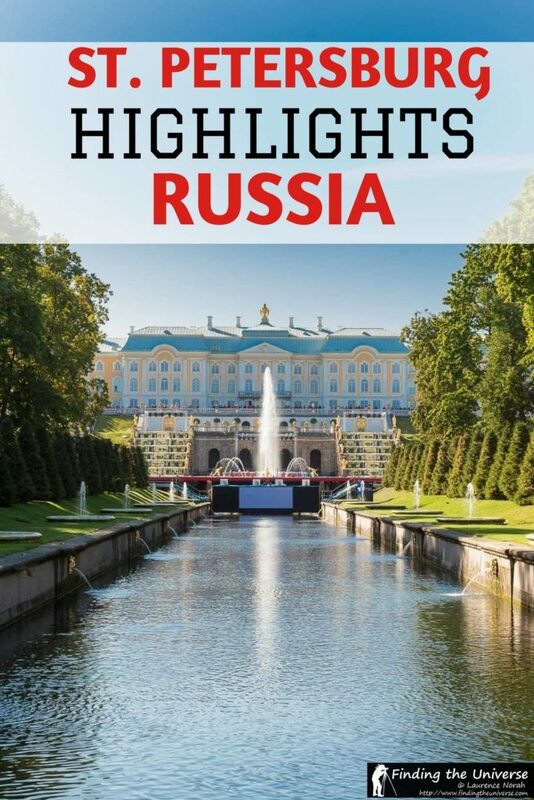 In 2015 we had the pleasure of taking a river cruise from St. Petersburg to Moscow with Gvidon Tours. You can read all about that experience, and my thoughts on cruising in Russia, in the post I wrote on the subject. As part of our trip, we got to spend a few days in both Moscow and St. Petersburg, both gorgeous cities. I have to say though, that St. Petersburg easily tops my list of favourite cities in Russia – it’s just so pretty! 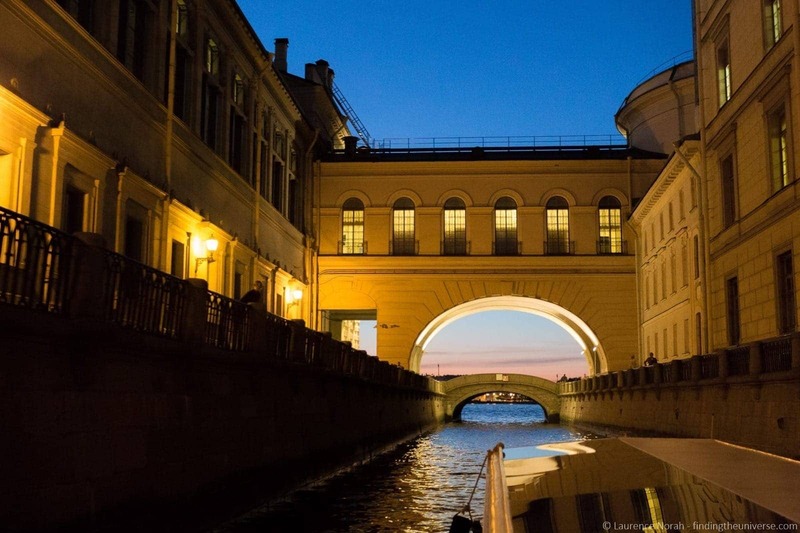 If you’re thinking about a trip to St. Petersburg, Russia, I’ve put together my recommendations for the highlights of what to do in St. Petersburg in the post below. I’ve also put together some practical advice on getting here and away, when to visit, where to stay and visas at the end of the post. Let’s start with the exciting stuff first though. One of the things I really love about Russia is the design of the churches, with their onion shaped domes. 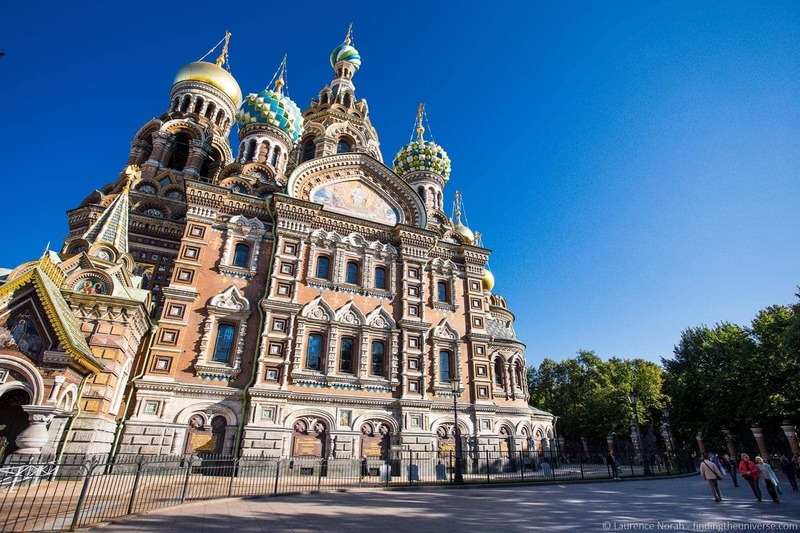 In St. Petersburg, the most famous of these churches is the Church of the Saviour on the Spilled Blood. This former Russian Orthodox church stands out in St. Petersburg, which has fairly European style architecture, whilst this church is in contrast a truly Russian looking building. It’s not all been glory days for the church of course. During Soviet times the church was put to various uses, including a morgue during World War 2, and then it was used as a vegetable warehouse! Today the church has been restored to its former glory, although it’s no longer an actual church, and serves instead as a museum, dedicated to mosaics. Information on ticketing and opening hours are available in English on the official website, here. If you’re not interested in mosaics though, the church is very pretty from the outside, and free to look at. 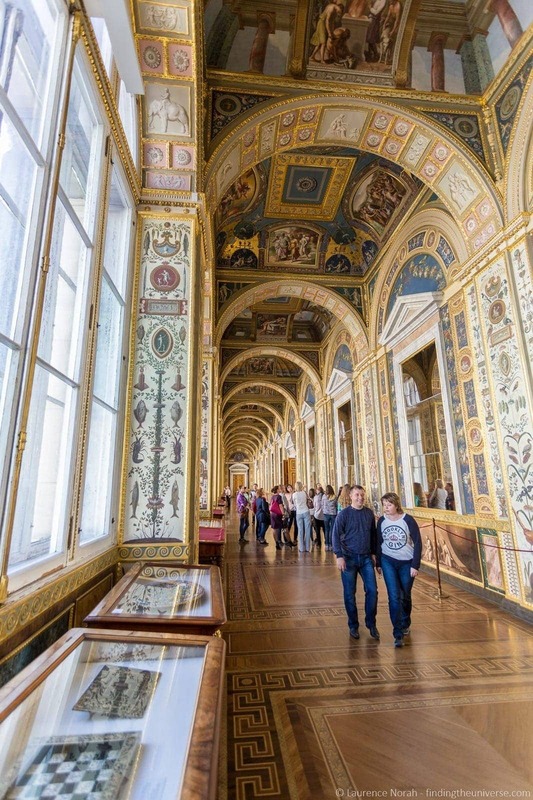 You basically can’t visit St. Petersburg without at least looking at the Hermitage, given it spans six massive buildings across St. Petersburg and is one of the largest art museums in the world. If you are into museums though, this place will be heaven for you. With over three million items on permanent display, including the largest collection of paintings in the world, you aren’t going to be short of things to look at. I admit to not being a huge museum fan, but even I have been here twice, and it’s worth visiting just for the grandeur of the buildings themselves, some of which were former palaces of the Tsar’s. The art housed within, which focuses largely on European and world art rather than Russian art, is absolutely fantastic, and it’s worth spending some time exploring. You could lose yourself for days, weeks, or even years here, so my advice would be to either take a tour of the highlights, or come up with a plan for what exactly you want to see beforehand in order to make the most of your visit. Ticket information and pricing is available from the official website, where you can also buy tickets online to beat the queues. At the time of writing, the museum is free to enter on the first Thursday of every month, and closed on a Monday. Tickets are availalbe either for the whole complex, including all the buildings, or indidivually, depending on your interest. 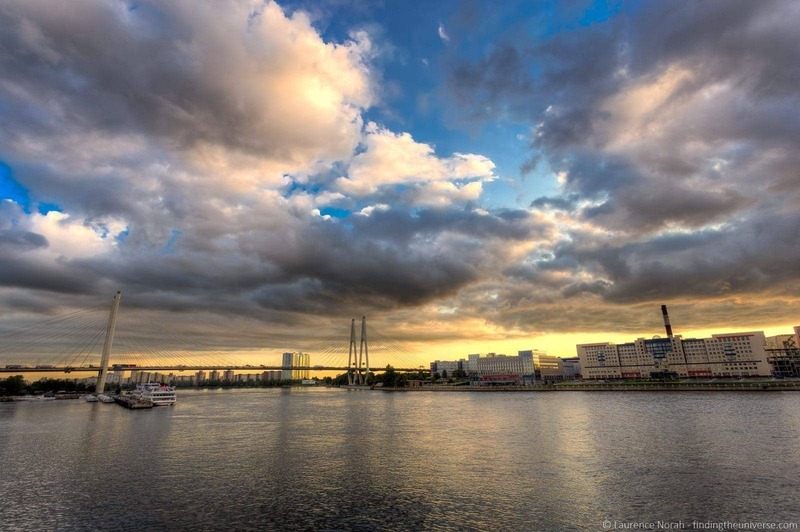 St. Petersburg was founded by one of Russia’s most famous leaders, Peter the Great. His wife, Katherine the Great, was responsible (amongst other things) for starting the aforementioned Hermitage. 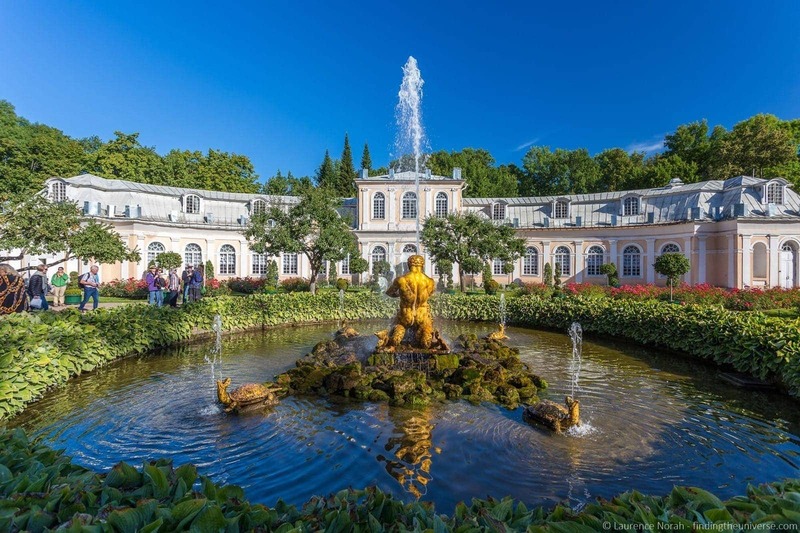 When they were in St. Petersburg, whuch they declared capital of Russia, they would spend their winters at the Winter Palace, and their summers at the Peterhof Palace, located on the shores of the Baltic Sea. 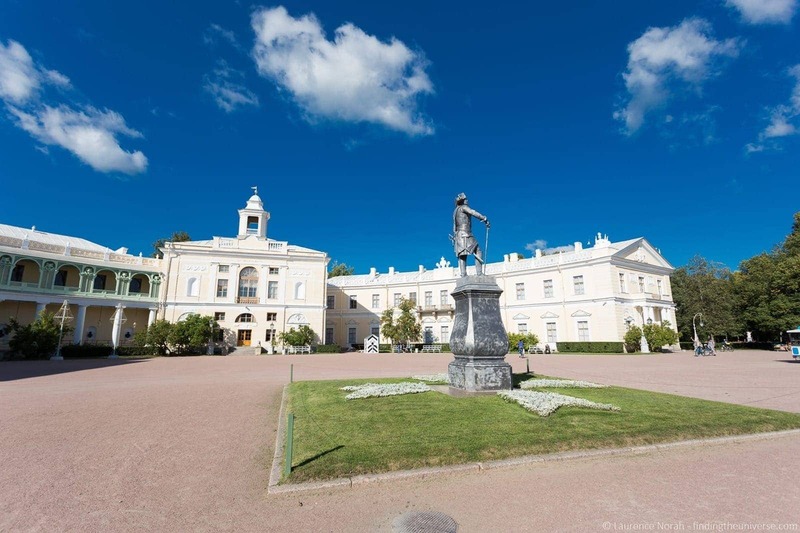 Now a UNESCO world heritage site, this property is around 45 minutes from St. Petersburg, and is basically everything you’d expect from a Tsar’s residence. 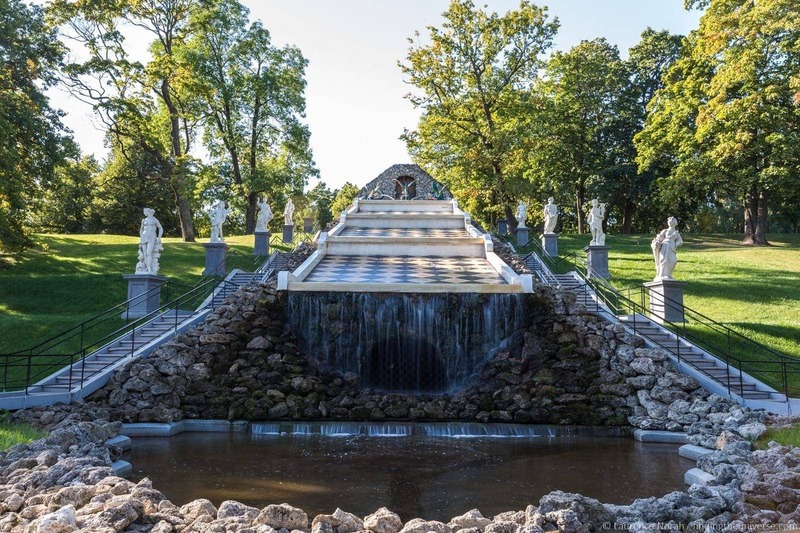 Often described as the Russian Versailles, the gardens are famous for their magnificent fountains, and you can spend a great deal of time just wandering these. They’re a little bit tricky though – the designers loved water based practical jokes, and occassionally standing on the wrong stone will trigger an unexpected shower of water! Entrance tickets are available for the different parts of the Palace and grounds. The offical website for the palace is a little tricky to understand, but this website has lots of helpful information on planning your visit, including entrance fees and opening times for the various parts of the Palace. 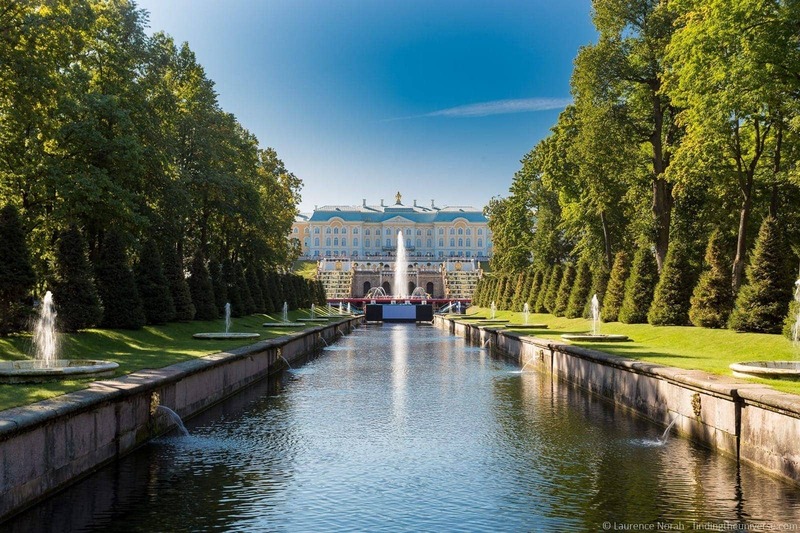 Getting to Peterhof from St. Petersburg is relatively easy. Obviously, lots of companies offer tours, which is the easiest option. If you want to go under your own steam, you can either take a hydrofoil across the water, or there are buses, trains and taxis available. 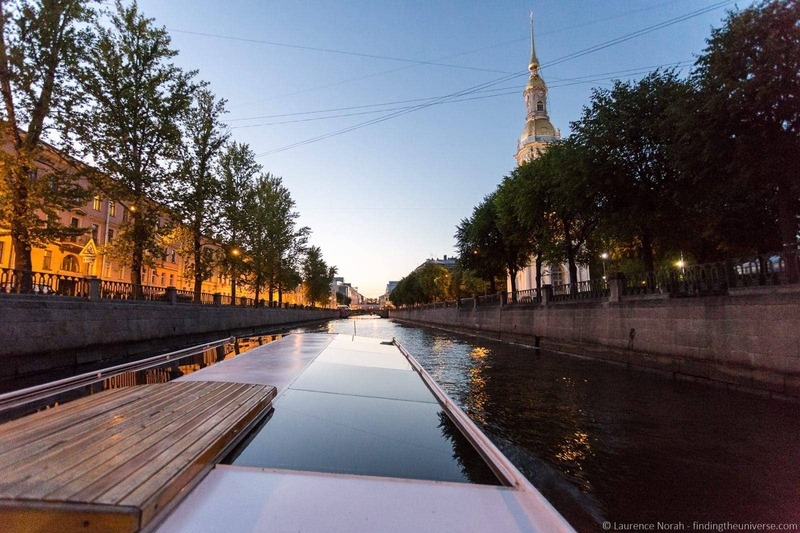 One thing that you will immediately notice about St. Petersburg when you arrive is how many waterways it has. This is because it was built partially in a river delta, and so there’s an awful lot of water around, which the city designers incorporated into the construction. This means that you can explore the city on a boat tour, which is a wonderful way to get a different perspective of the architecture and city layout, and learn a bit about the place as you go. Our canal cruise was organised by our river cruise company, but there are no shortage of options – this map and run down of prices and information should help you pick an operator to suit. Just be sure to check the tour is in English if you pick one with a guide! 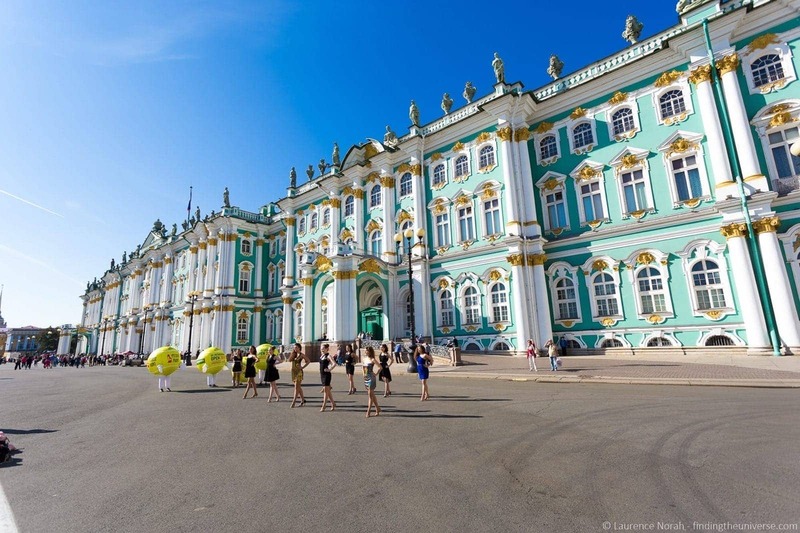 Another out of town attraction, the Pavlovsk Palace is a gorgeous stately home style residence which was built for Catherine the Great’s son Paul, and designed by her architect. The architect was very much influenced by European architecture styles, and the resulting property is a wonderful homage to all sorts of European styles, featuring a Greek Hall stuffed with columns, as well as an Italian Hall. Art, collected by Paul I and his wife from their travels across Europe, can be found throughout. 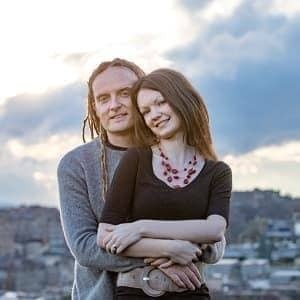 The gardens are also very beautiful, designed as an English style garden, and filled with all sorts of hidden treats, including a labyrinth, a temple, and various flower gardens. Information on the palace can be found on their official website, which helpfully include directions for getting here, opening times, and ticket prices. Eggs! Who doesn’t like them. Of course, the eggs at the Fabergé Museum in St. Petersburg aren’t the kind you eat. No, these are the magnficently expensive eggs by the Russian jewler Carl Fabergé, and this museum houses the largest private collection of Imperial Fabergé Eggs in the world (nine – ten are also on public display in the Kremlin Armoury in Moscow). These eggs were created each year as Easter eggs for the Imperial family, and are incredibly detailed masterpieces of design. Truly exceptional to behold, and bought at a cost of 100 million US dollars, these nine eggs are worth the visit to the Fabergé Museum alone. However, it’s not all about eggs of course. Housed in the Shuvalov Palace, a stunning building in its own right, the museum also houses over 4,000 works of art, largely Russian, meaning a visit here can take you a bit of time. Find out about opening hours and ticket prices at the official website, where you can also purchase tickets. 7. The Opera. Or Ballet. When I first visited St. Petersburg, I was barely a teenager, and my parents thought it would be fun to take me to see both some opera and some ballet. I loved the latter, and have hated the former ever since. Still, if you’re into either opera or ballet, then St. Petersburg is an excellent place to experience either of these, with arguably the finest venue for both of these art forms being the historical Mariinsky Theatre, which housed both the Imperial Ballet and Imperial Opera, and was the place where people like Tchaikovsky would premiere their works. It’s a truly Russian experience, and one I would definitely recommend. Ticket information and pricing is available on the official website. Being fairly far north, St. Petersburg gets cold in Winter, with over 100 days of snow on average, and temperatures below freezing between November and March. As such, the summer months are the preferred times to visit, with May through September usually being pleasant, and July and August being the hottest months. 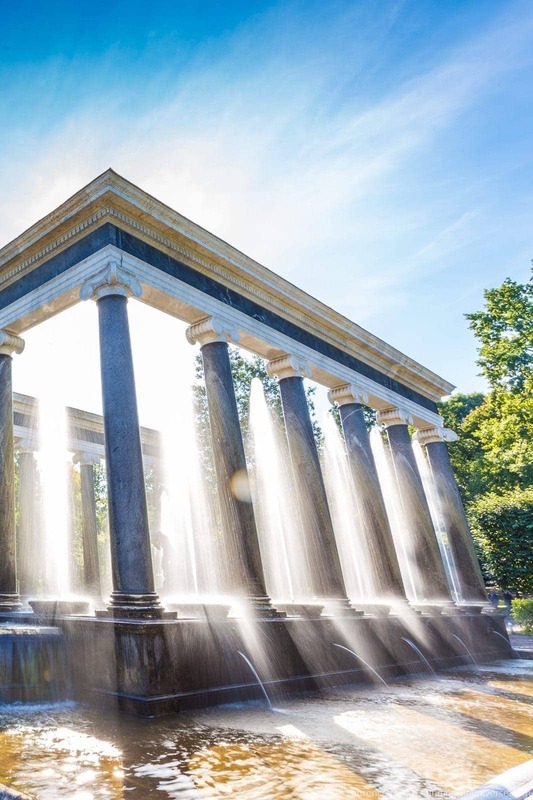 If you want to see the fountains active in the Peterhof Palace, you need to visit in the summer months, as they are deactivated over Winter to stop them from freezing. Unless you’re in one of these countries, you’re going to need a visa for entering Russia. If you’re from the US, the standard visa you’ll be issued with is a three year multi-entry visa, and if you’re in the UK, the standard is a thirty day entry visa. Visa requirements and the process for getting them varies a little by country, but generally you’ll have to apply in person via a visa processing service that is approved by the Russian consul. You’re going to need your passport with room for the visa (it takes up a whole page), a completed visa application form (you can download this from the relevant visa processing service), an invitation to Russia (from your tour company or hotel) and of course, the visa processing fee, which varies by nationality. If you’re in the US, visa processing is handled by Invisia Logistic Services. In the UK, it’s handled by VFS Services. Full information on the visa application process and fees can be found on these websites. St. Petersburg is easy to get to, with multiple flights arriving here from cities around the world. If you’re looking to book a flight, we recommend searching Priceline for the best deals. The airport is around 12 miles south of the centre, with public buses and taxis available to take you in to the centre. There are also a number of train services, and you can get a train direct to St. Petersburg from Helsinki for example, which takes around 3.5 hours, or from Moscow, which takes just over five hours. 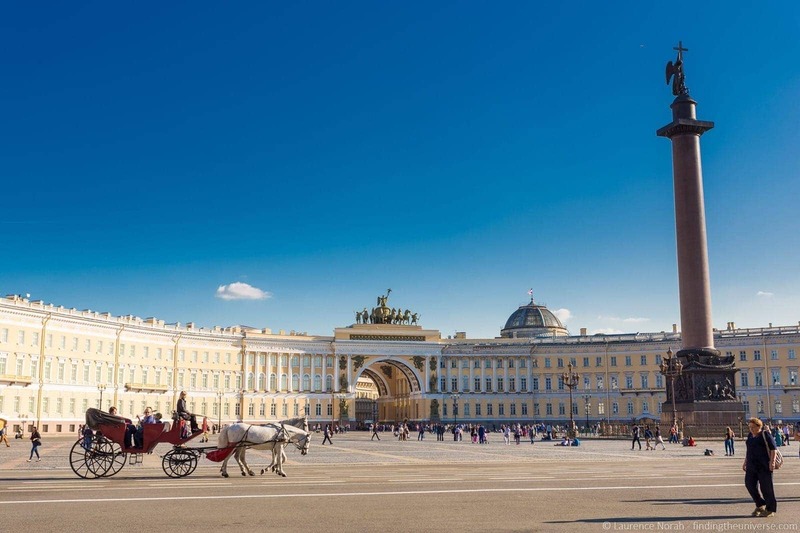 St. Petersburg is a relatively walkable city, particularly in the center where the majority of the attractions are, although if hours in the Hermitage have done you in, fear not, there’s an excellent public transport system, which includes buses, trams and a metro. There are also plenty of taxis, and Uber is also available in the city (if you’ve not used them before, get $20 off your first ride with this link!). And that sums up my post on getting the most from your trip to St. Petersburg! I hope you found it useful – if you have more ideas for sight seeing and must-see St. Petersburg attractions, do share them in the comments below! Catherine’s Palace in Puskin (between SPb and Pavlovsk) is a must see. It has been restored beautifully after being badly damaged during WWII. 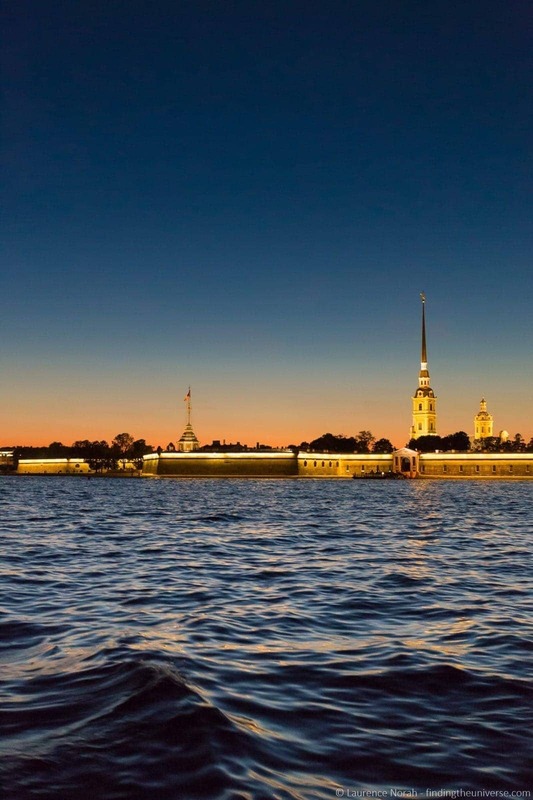 Also add Petropalovsky Krepost (Peter and Paul’s Fortress) to your list. It’s located on Hare’s Island and is worth visiting at midday to see the noon gun being fired.